I've always been curious about the Julep Mystery Boxes, but this month was the first time I was actually tempted enough to pick one up. Was I satisfied in the end? Ehhhhhh, moderately. 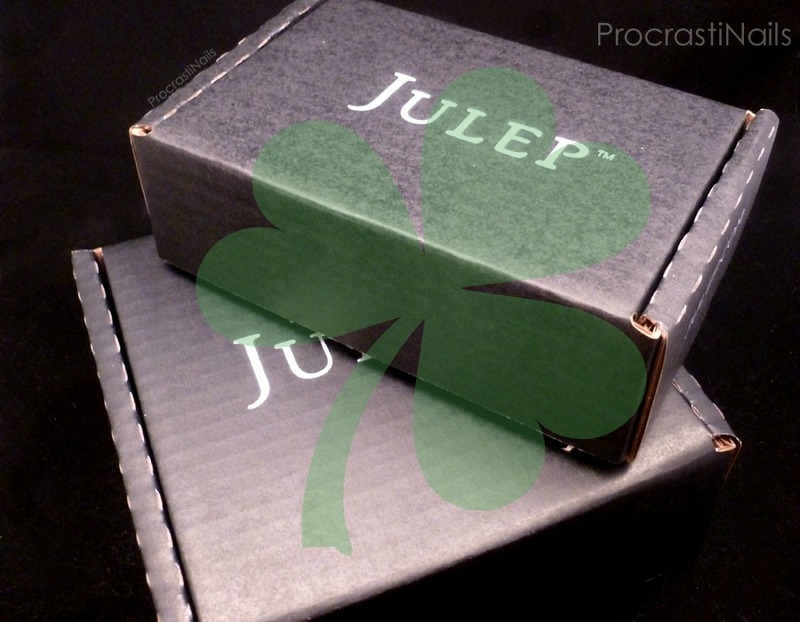 If you aren't already aware, Mystery Boxes are something that Julep offers every month or so and they are usually based around a theme (St Patrick's Day, Valentine's Day, galaxy nails, glitter, etc.). 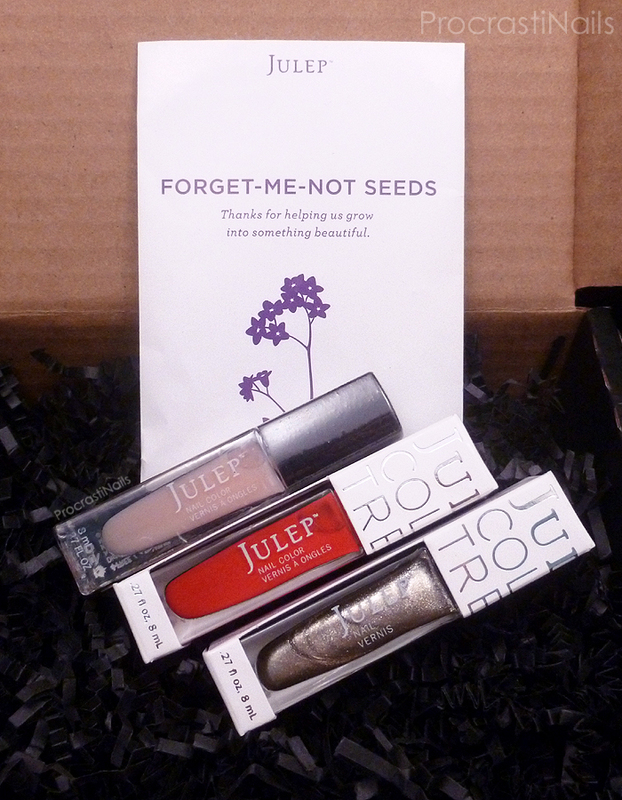 Each one has a brand new shade created especially for the box, and you get a bunch of other mystery Julep products as well. They retail for $24.99 and claim to have a value of $100 included. 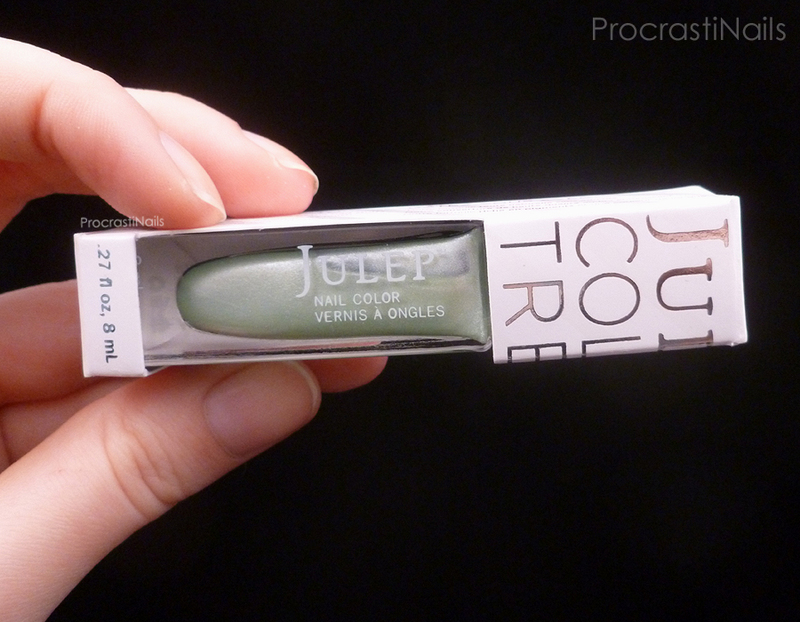 As usual each of the three boxes this month had a signature shade you could pick up, and I went with the It Girl Box because Shannon was a silk finish and I loooove Julep's silk finishes. I also chose this box because there were theories that it would have a better polish vs. product ratio as per the usual It Girl boxes. And those theories were correct! There were two mystery boxes available and the one I picked up cost $9.99. I think there was a second version available for $12.99, and they claimed that if you got both you wouldn't get duplicates. Lucky me I didn't have any of these polishes yet though I did already have a pack of the forget-me-not seeds from when they first came out in Aug 2013. 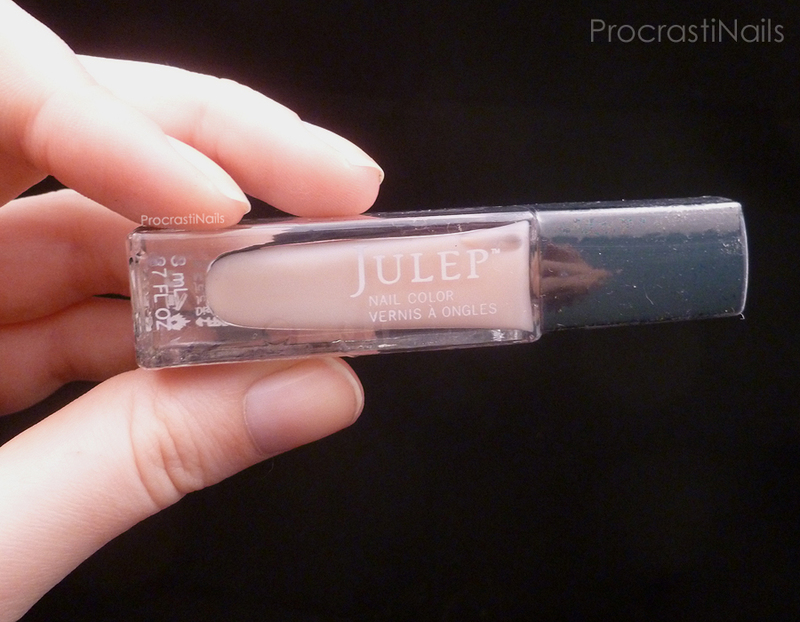 Julep Grace is described as a "classic 'go-to' light pink sheer," and was originally released in the January 2013 Classic with a Twist Box. 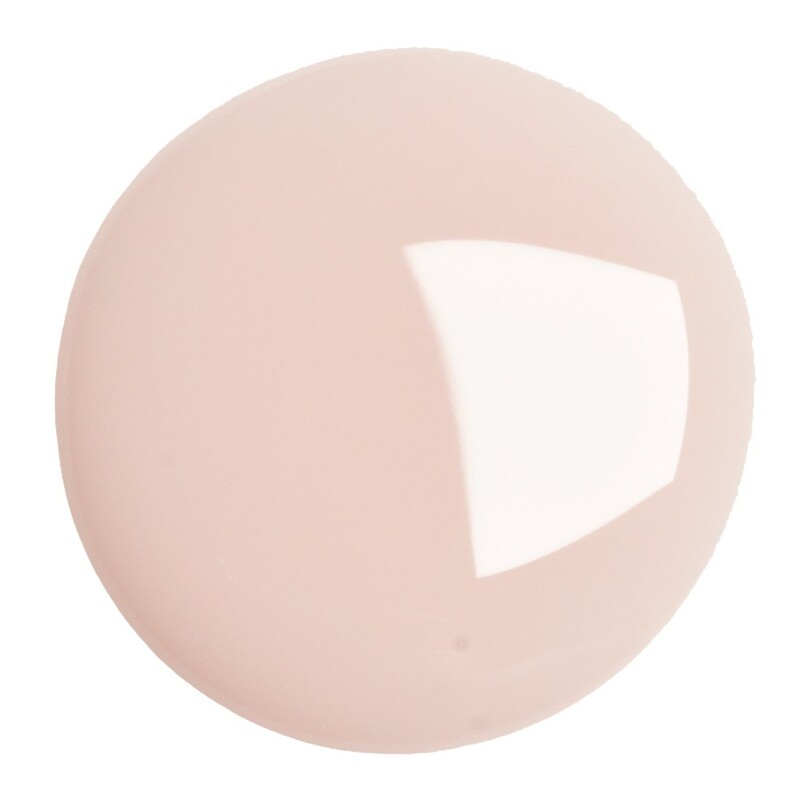 I'm excited about this polish because I'm a fan of neutrals and I've been looking for a good sheer pink to use for French manicures for a while. 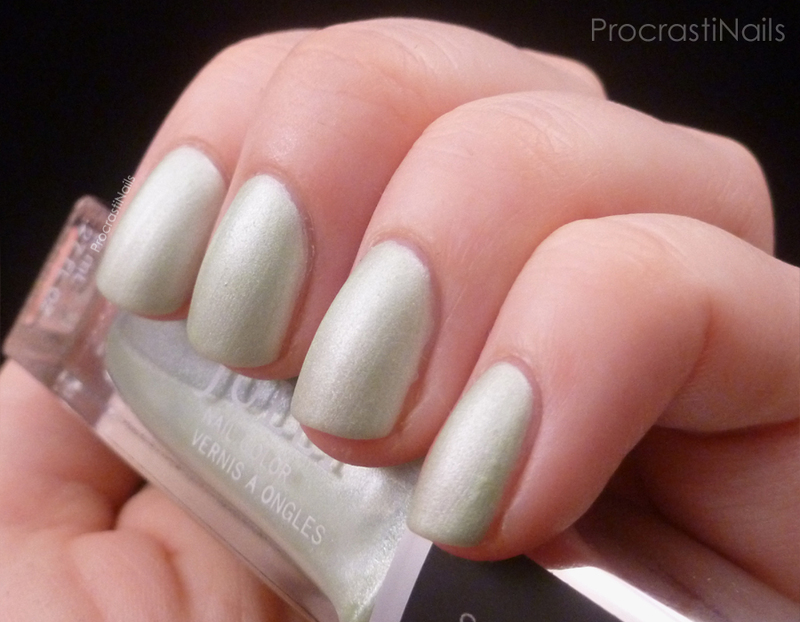 This will definitely be in a swatch post in the future! 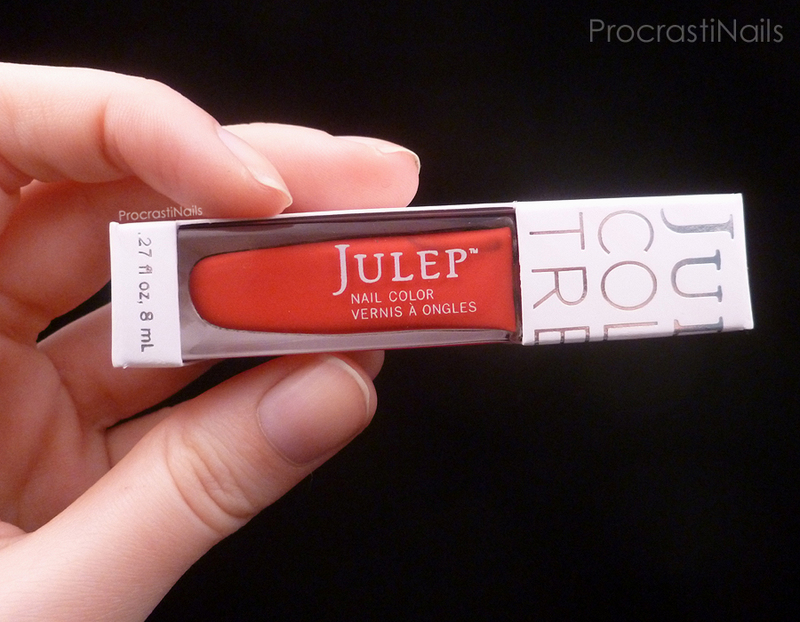 Julep Rose is described as a "a juicy watermelon red crème," and to be honest neither my picture nor the swatch from the website do it justice. In real life I'd say it's between the red it photographed as for me (as you can tell my camera hates this shade) and the bright pink tone shown on the website. 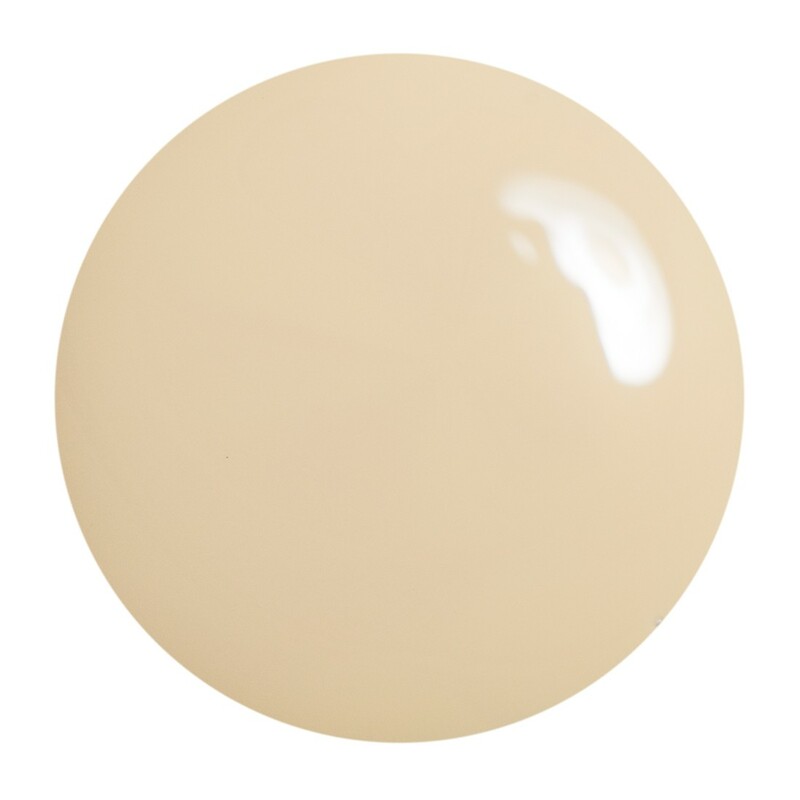 I know it's hard to imagine, but believe me when I say it's going to be a gorgeous shade for summer. :) This one was originally in the June 2012 Classic with a Twist Box. 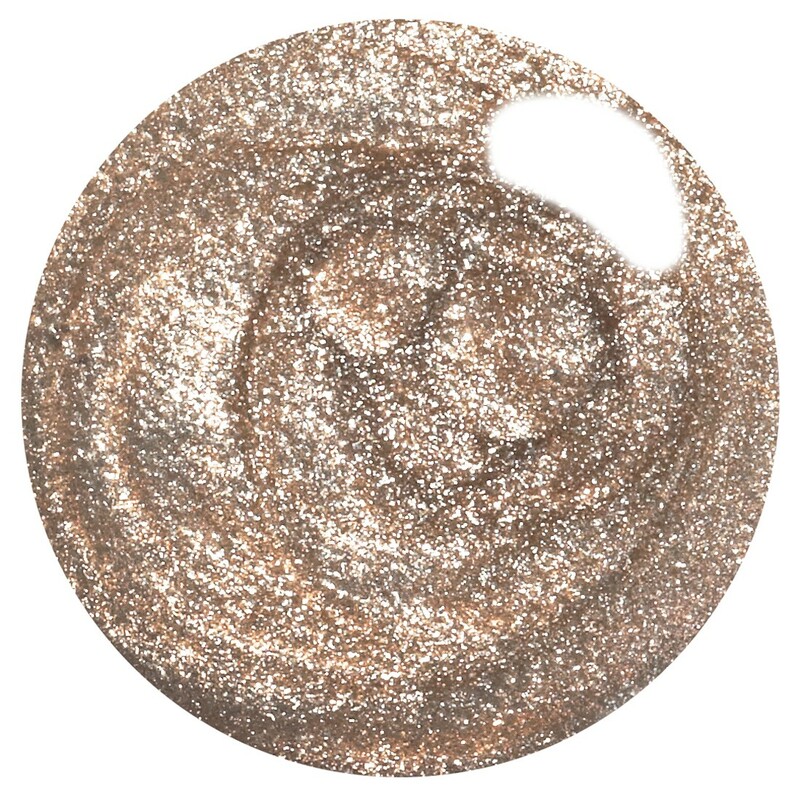 Julep Sienna is described as a "sophisticated, shimmery gold," though to the naked eye it's hard to tell if it's truly gold or silver. 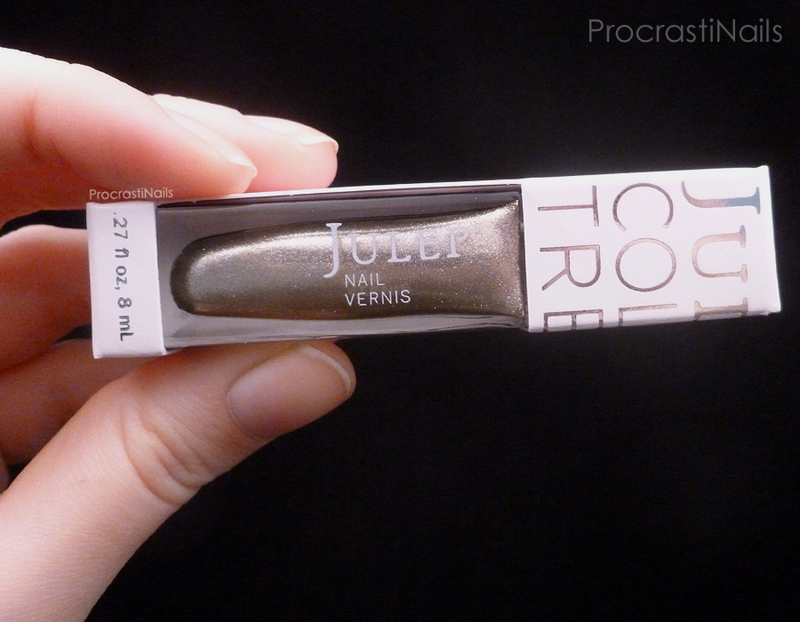 I'm looking forward to comparing this to the other gold/silvers that I've gotten from Julep in the past. 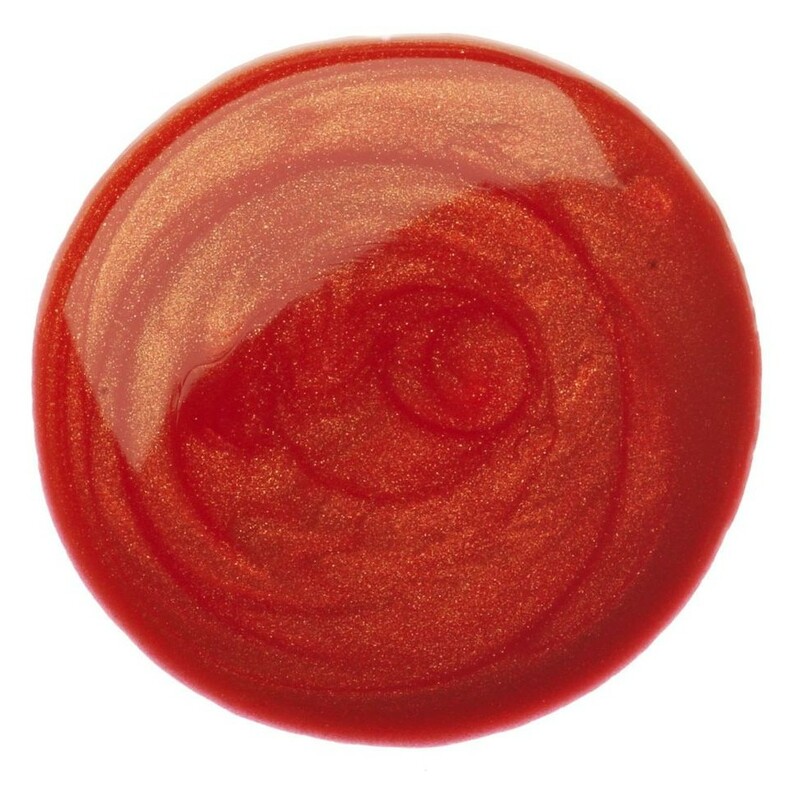 This one is also a Classic with a Twist shade, and was originally part of the August 2012 box. Now let's move on to the full Mystery Box! 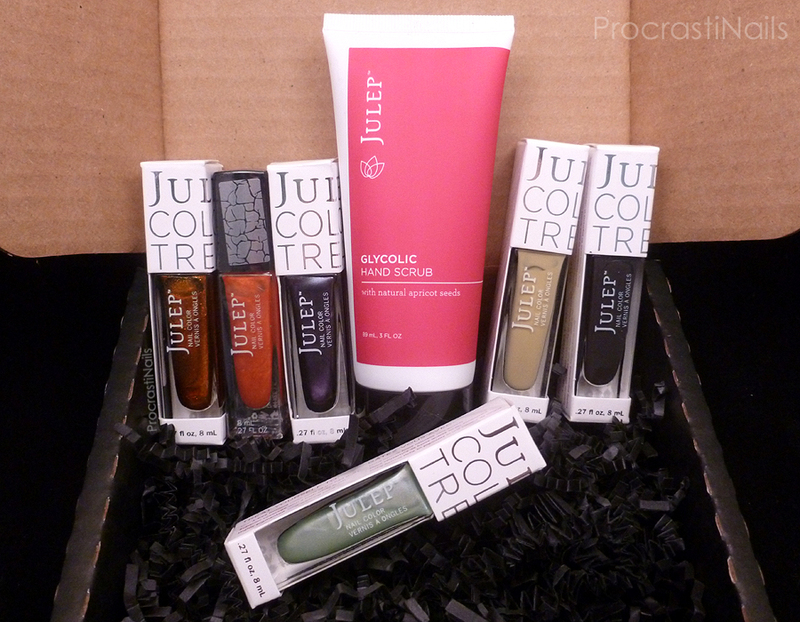 The box that I got ended up having 6 polishes (including Shannon which I've included a full swatch/review of at the end of this post) inside it, as well as a bottle of Julep's Glycolic Hand Scrub. Let's take a closer look! This "facial for hands" packs a 10% glycolic acid punch. Whisk away dirt and oil and reveal noticeably softer and younger looking hands after just one use. You'll be surprised that something so effective smells so good! 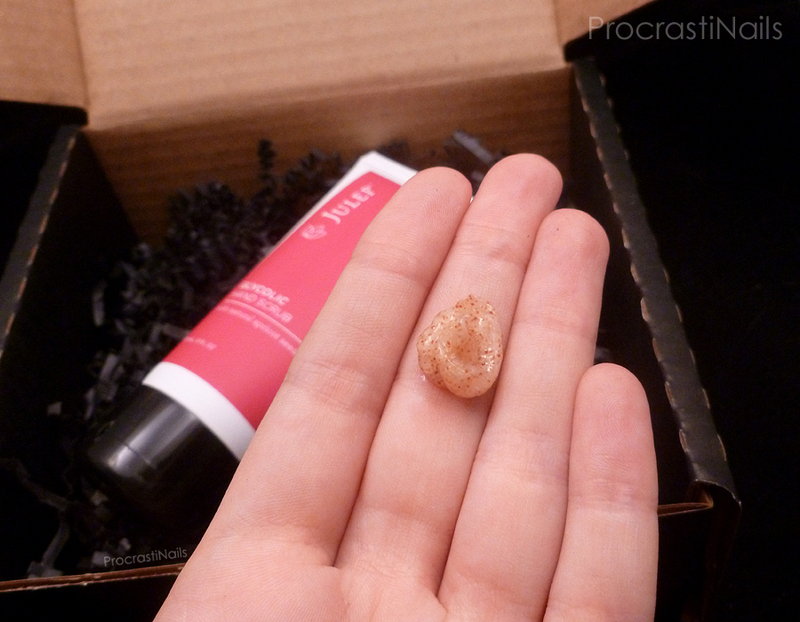 (Insider tip – try this gorgeous scrub all over your body, it’s even gentle enough for your face.) 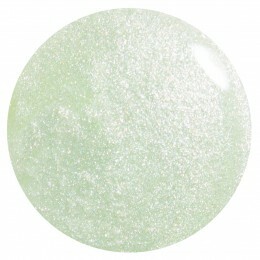 To use: Slightly dampen your skin, then use a quarter-sized amount to cleanse and exfoliate. Rinse well. I love this scrub. 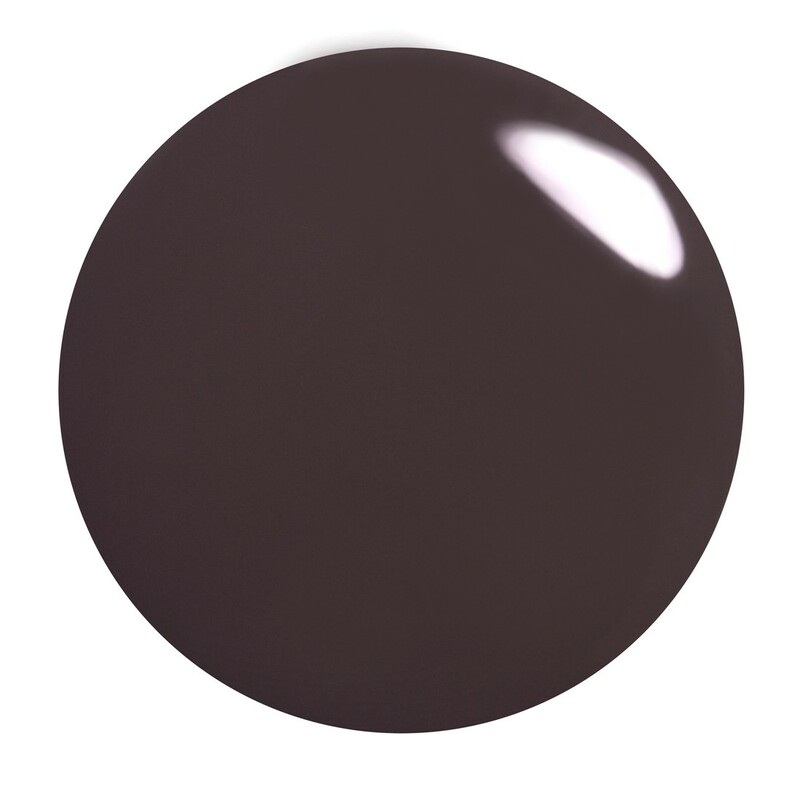 I used it once and my hands immediately felt softer, and it has a lovely fruity scent. I think I'm going to be working this into my hand/cuticle care routine for when I'm doing a heavy swatch day, since I think it will help to re-moisturize more than the current scrub I use. 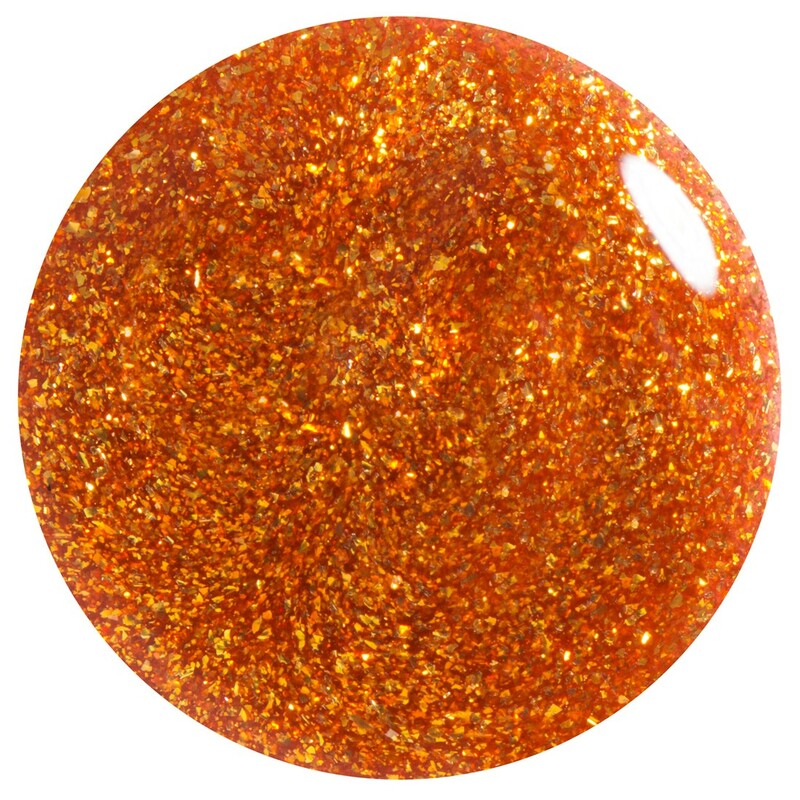 Julep Sabrina is a "zesty orange shimmer crackle" that came out a couple of years ago for Halloween, and it's a Classic with a Twist shade. 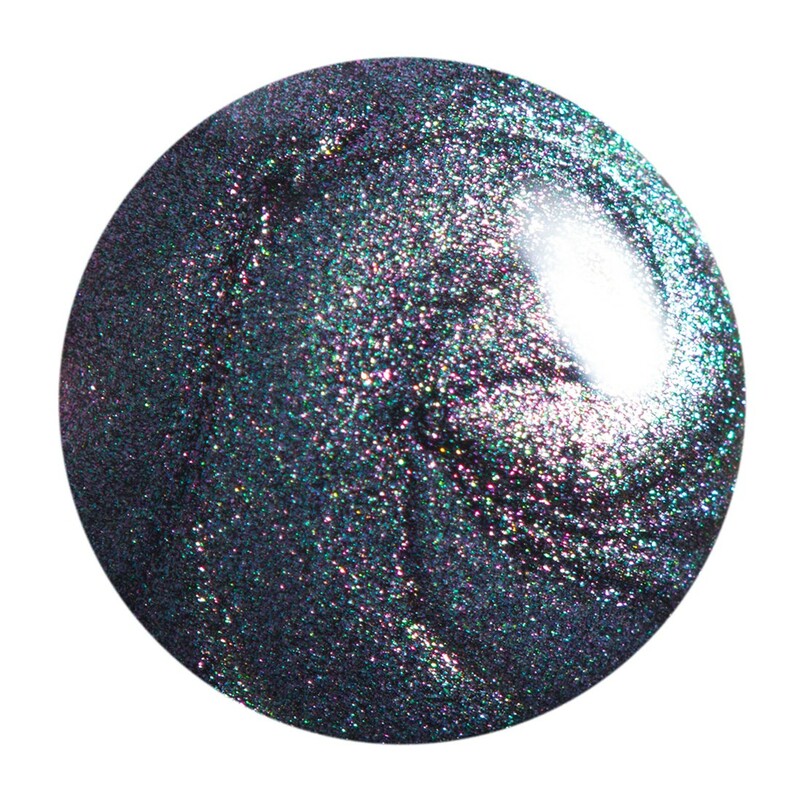 This is actually a polish I already had in my collection and it's my favourite crackle polish to date (which you can read more about and see swatches of in my original post). 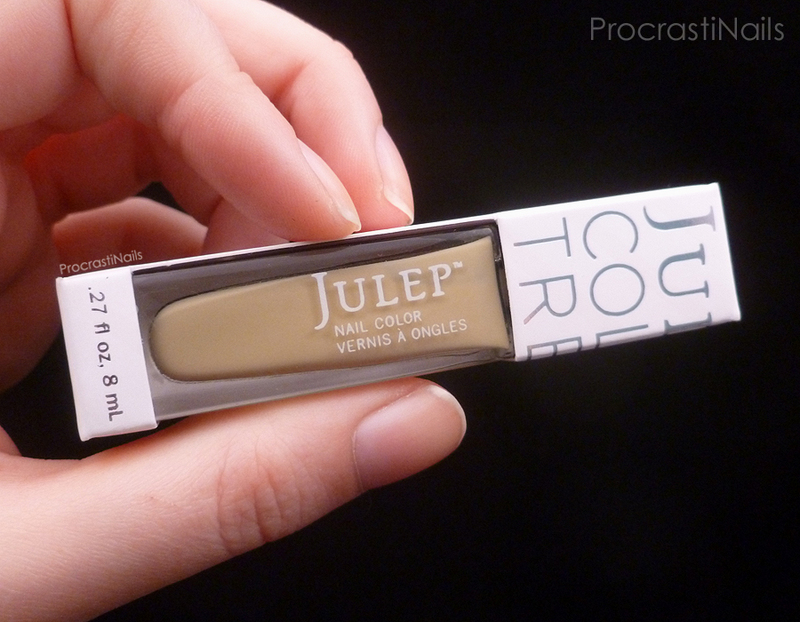 Julep Kennedy is described as a "khaki crème" and since it's a neutral I love it! 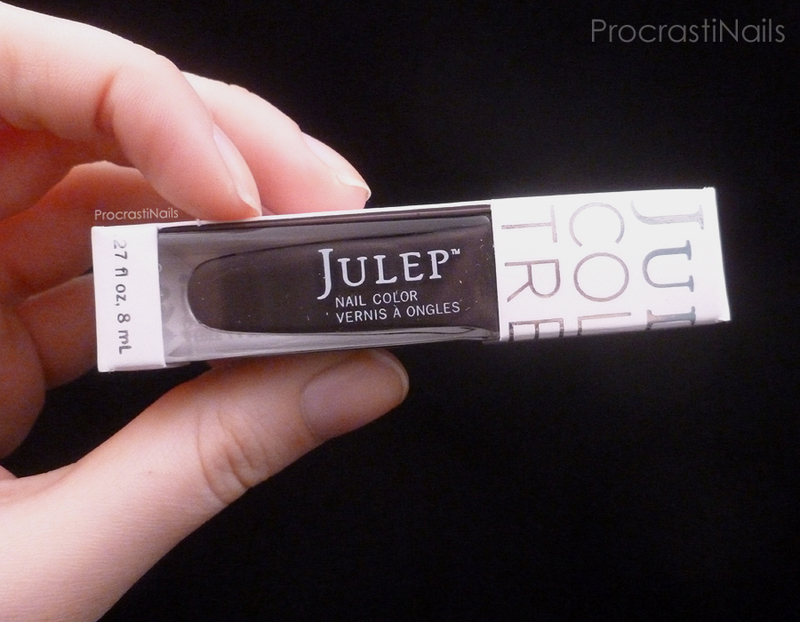 I haven't tried this one on yet and I'm worried that it's going to be too yellow for my skin tone, but I'm hopeful it will be fine and I can add it to my list of much-loved Julep neutrals. 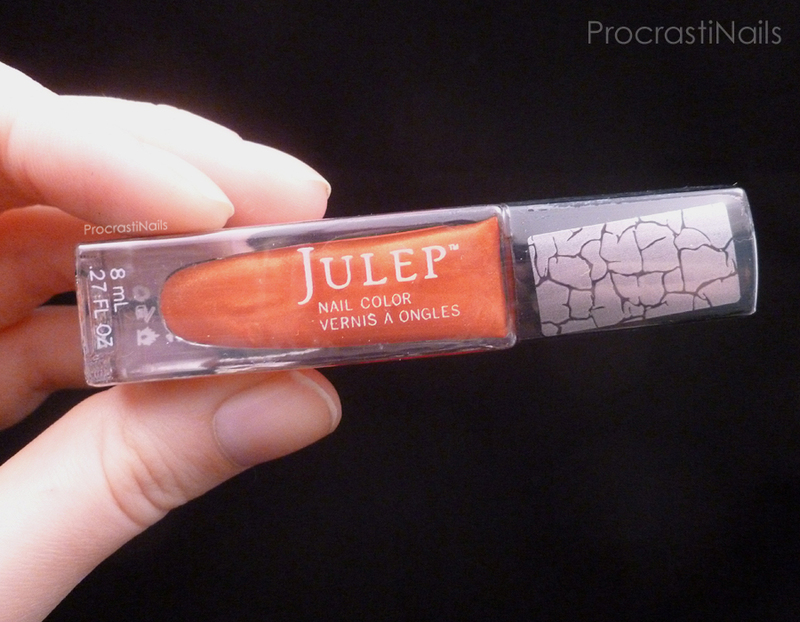 :) This shade was originally sold in the June 2013 Classic with a Twist Box. 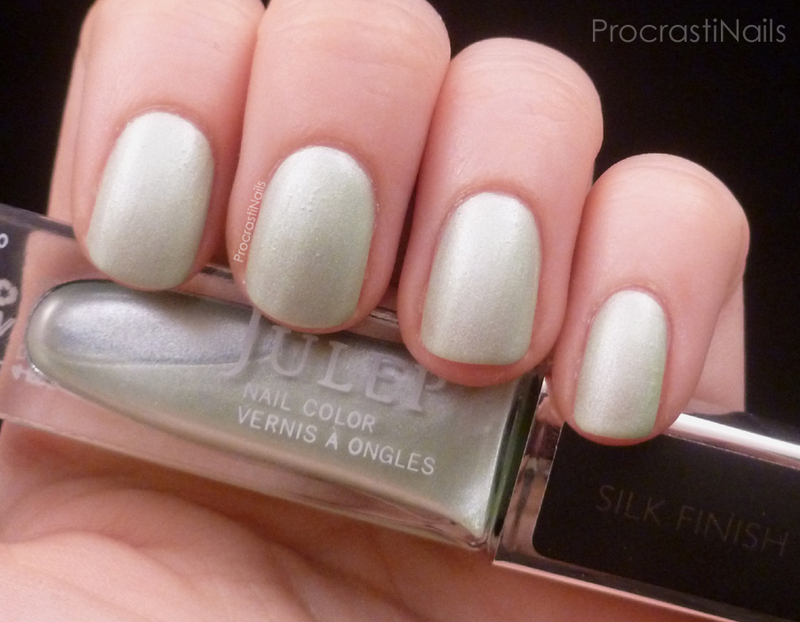 Julep Shannon is described as a "pale minty silk" and I think it's a lovely soft pastel shade for spring. You have to be careful with your brushstrokes however, since (as you can see on my pinky nail) any imperfections are going to show up. 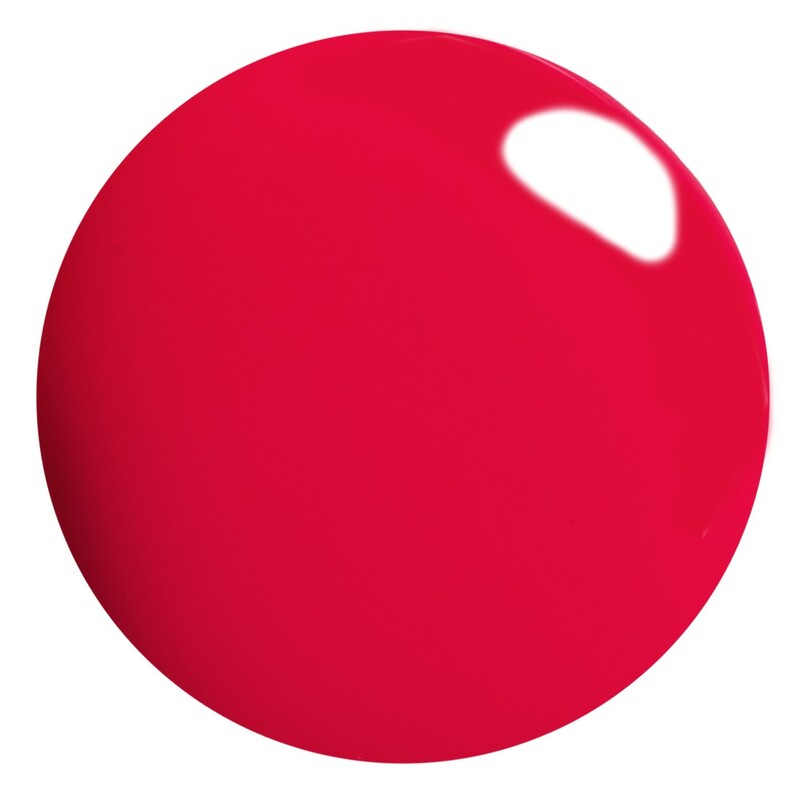 This is also a very sheer polish compared to Julep's other silks; it took me four coats to build up to this opacity and I still think some nails could have used a fifth to remove any remaining visible nail line. 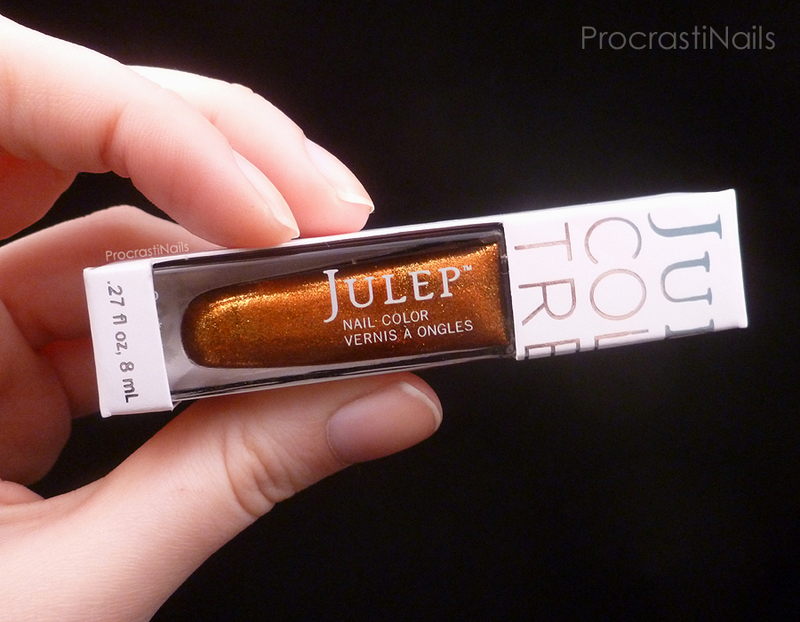 I've heard from other bloggers that the Mystery Boxes used to be better (and cheaper) but that nowadays they're usually filled with random shades Julep is trying to get rid of and are a better investment for when you're starting your Julep collection (and want to up your number of polishes quickly) rather than when you're already pretty well stocked. These statements resonate with me now that I've gotten a mystery box, and I would have to agree. While some of the shades I got were pretty (particularly Grace and Tatiana) and I really liked the special shade I got (Shannon) there were also quite a few duplicates for me (Sabrina, Blakely and Fiore) and nothing really blew my socks off. On top of that most of the shades included are on sale on Julep.com at the moment, so the product value of these boxes is realistically a lot lower than what it's listed as. Will I get another mystery box in the future? 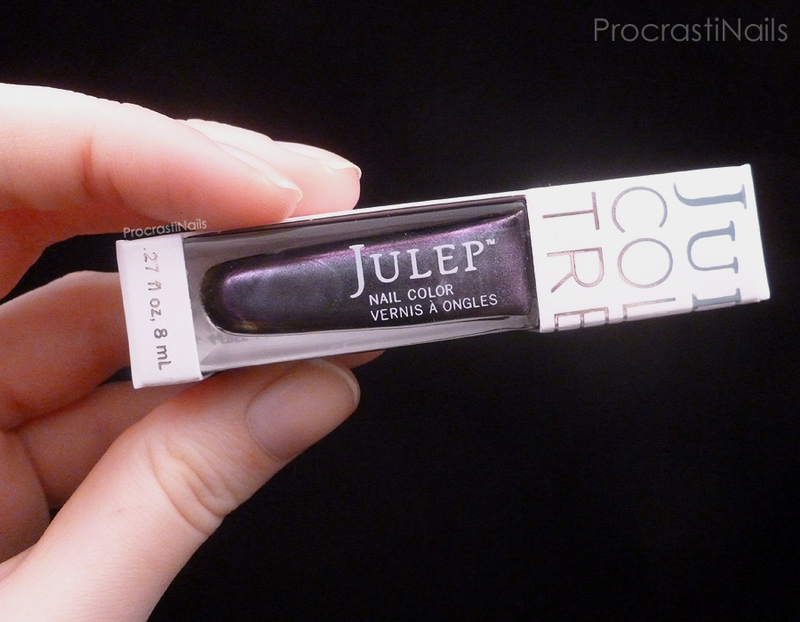 It's uncertain, but the fact that I have about $20 left on my Julep gift card from winning the #mymaven contest says probably... Haha! So, what do you think about the value of these boxes? Did you pick one up yourself? Let me know! !